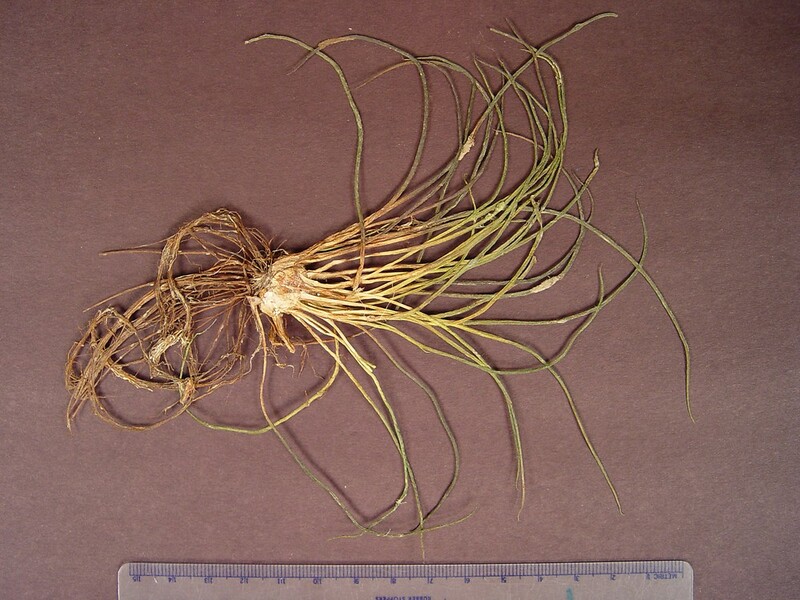 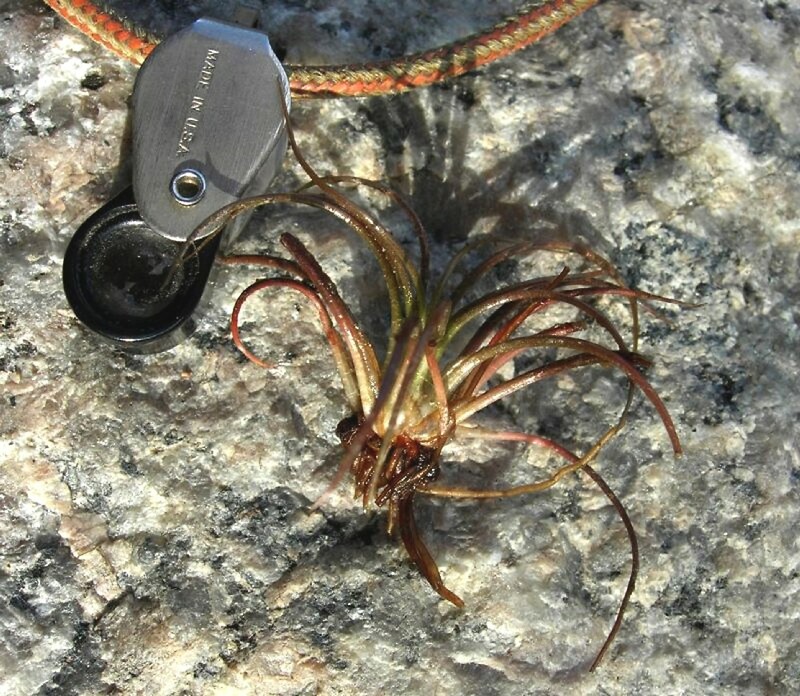 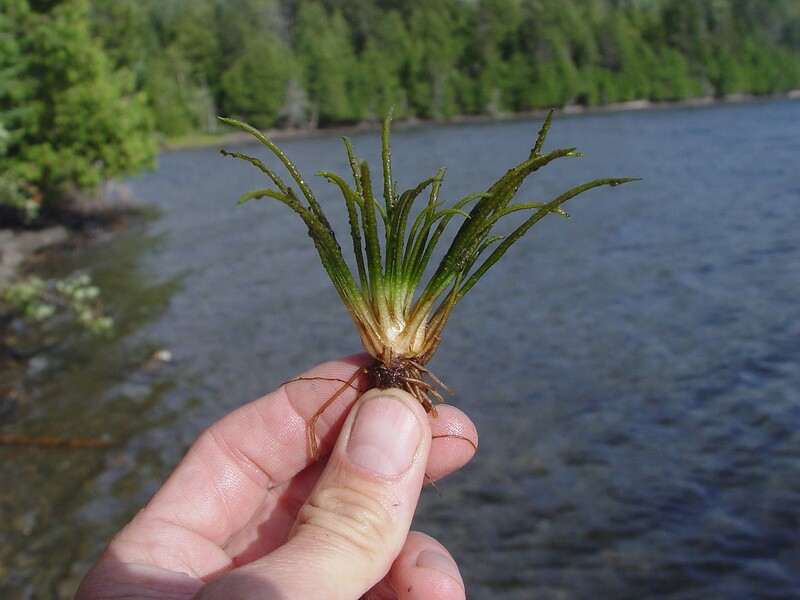 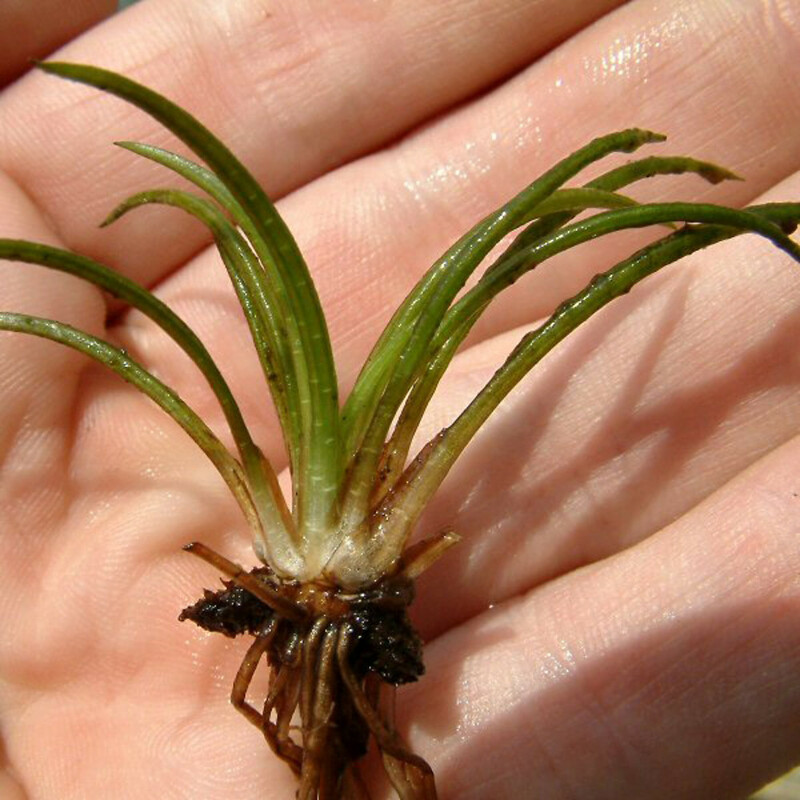 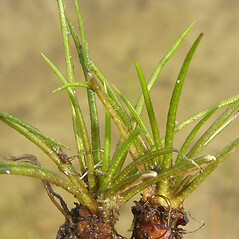 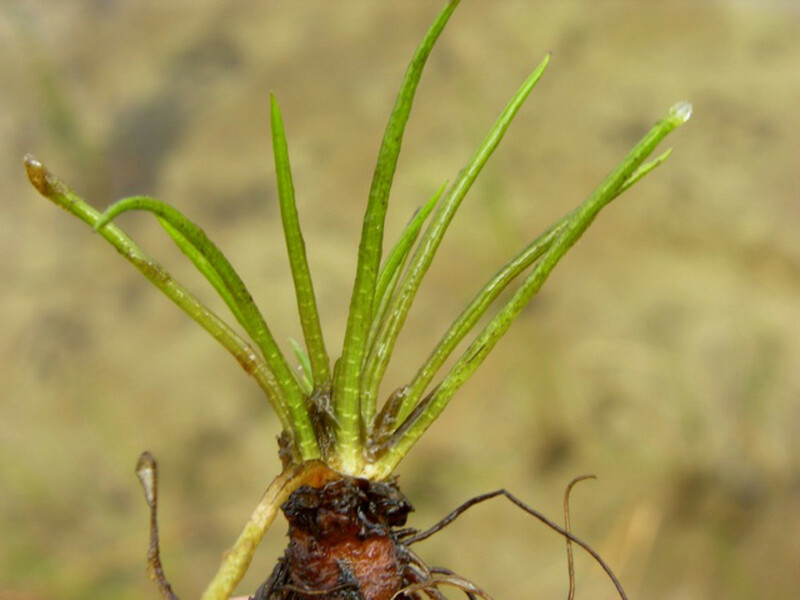 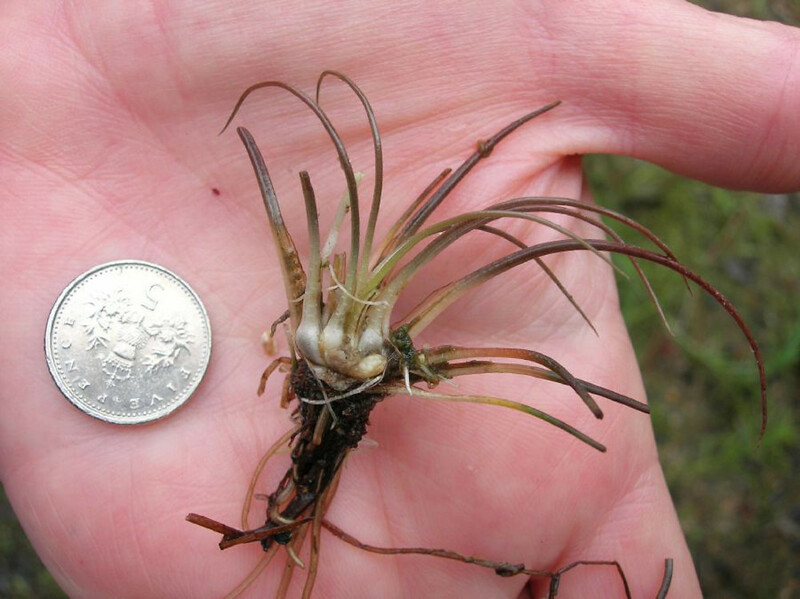 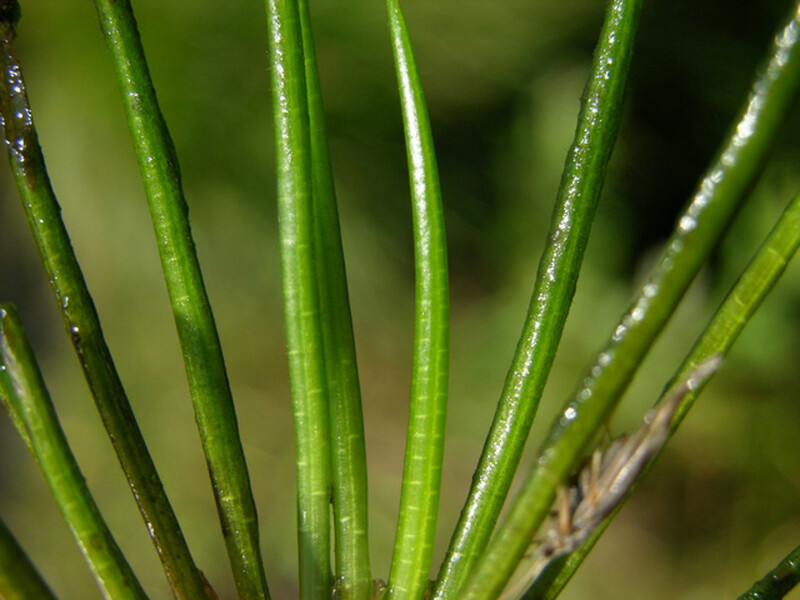 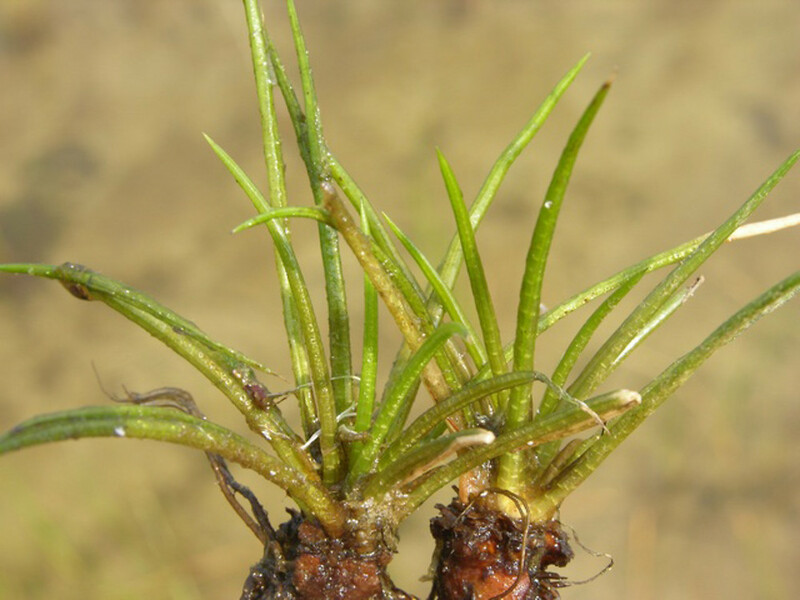 Lake quillwort grows, often completely submerged, in cold clear water of lakes and slow-moving streams, sometimes more than 10 feet (3 meters) below the water's surface. 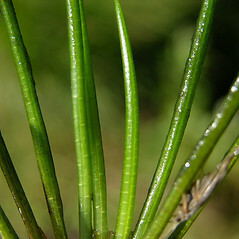 megaspores with a smooth girdle, reticulate with low, rounded ridges (vs. 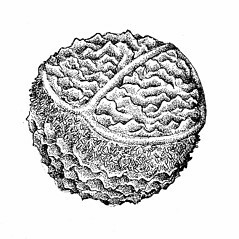 I. lacustris, with megaspores with a papillate girdle, cristate to reticulate with sharp or roughened crests). 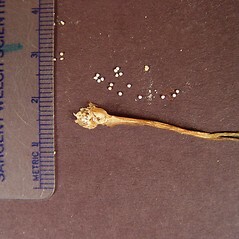 with very similar megaspores but smaller (0.4-0.65 mm in diameter) and commonly growing in water shallower than 1 m (vs. 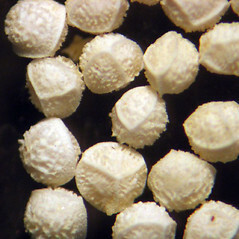 I. lacustris, with megaspores larger, 0.55-0.75 mm in diameter) and commonly growing in water 1 m or deeper). 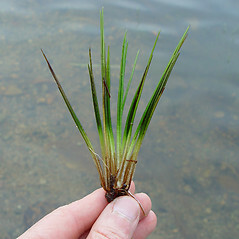 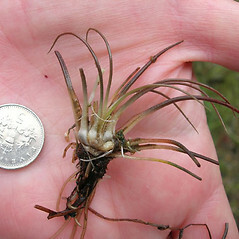 lake quillwort. 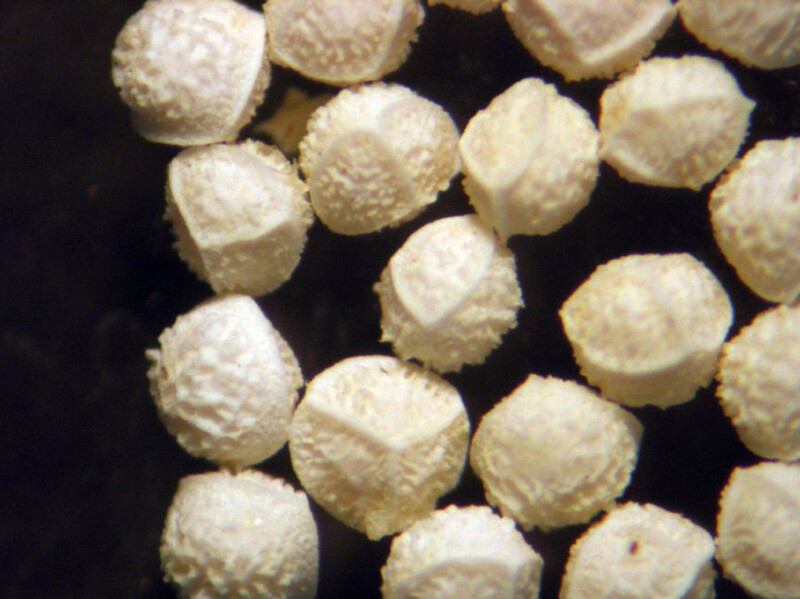 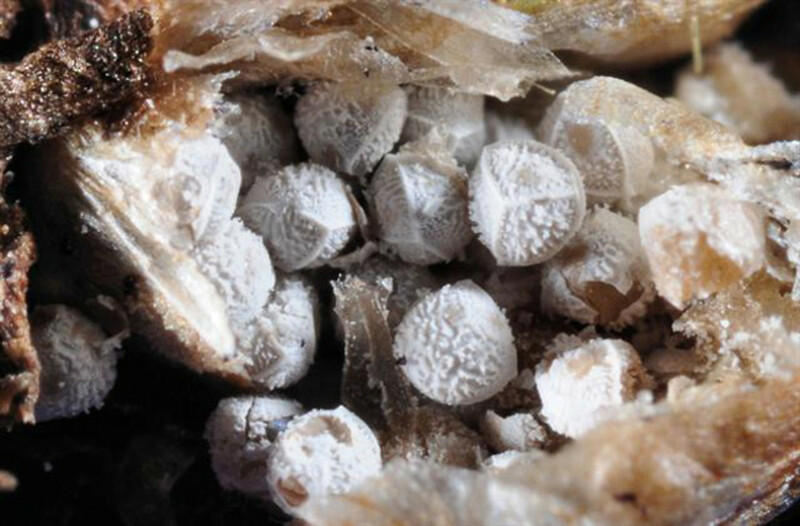 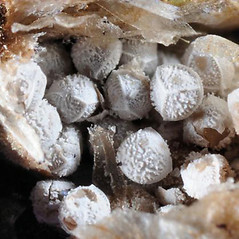 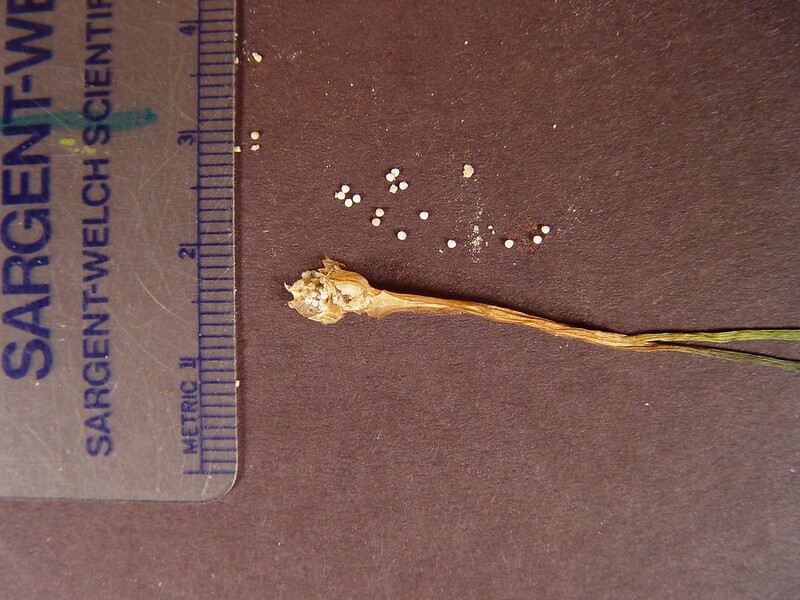 Isoetes macrospora Durieu • MA, ME, NH, VT; also reported from CT and RI by Taylor et al. 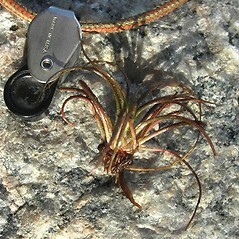 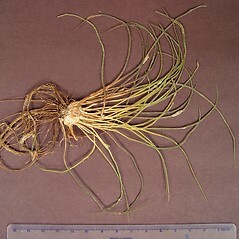 (1993), but specimens are unknown. 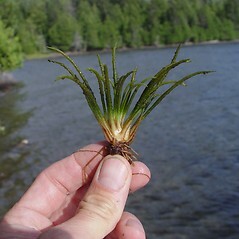 Cold, clear water of lakes and slow-moving streams, sometimes at depths greater than 3 m. North American plants have been segregated from Old World plants as Isoetes macrospora. 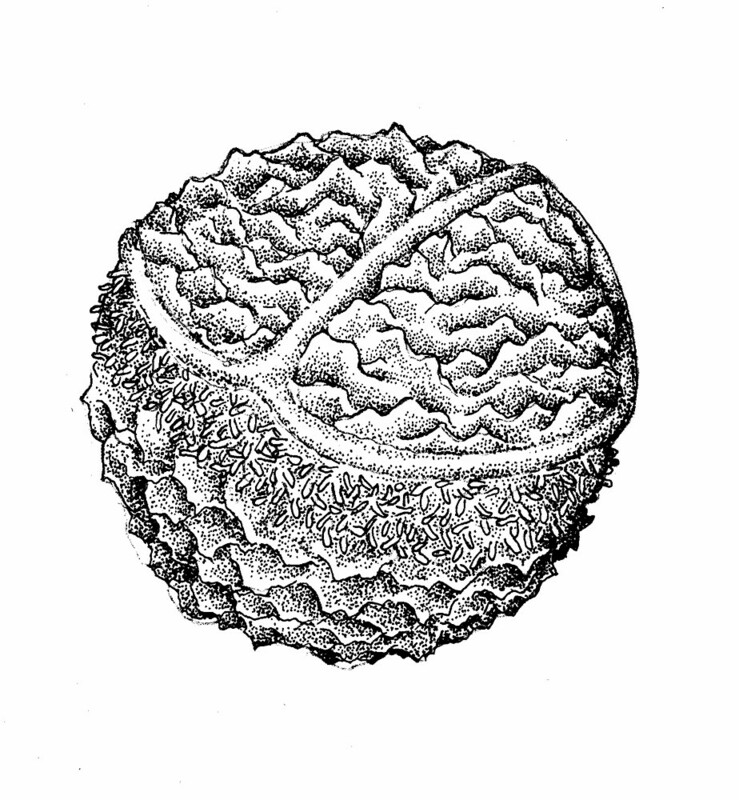 However, there does not appear to be any basis for separation other than geography. 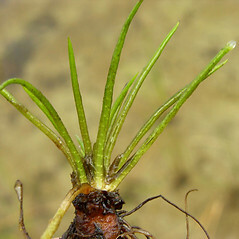 Therefore, I. macrospora is not recognized here as a distinct taxon.